If you run a job shop then Time Clock MTS will allow you to track the time your employees spend working on jobs. And you can still track your time clock information and comply with your local overtime regulations. Even if you’re not a job shop but still want to track the time employees spend on different tasks during the day you’ll find that the Time Clock MTS job tracking features will put more and better employee cost information at your fingertips. Time Clock MTS is able to keep track of the jobs of a particular employee. This software has saved us a lot of time, and time is money. More than 10,000 companies already use Time Clock MTS to track their employee time and attendance information. This tried and tested program can also track the time spent working on specific jobs, projects, or tasks. All of this can be done by your employees with just a few mouse clicks, or a few touches of a touchscreen, or by using a barcode reader or magnetic swipe card. We’ve been developing and selling job and project time tracking software for 10 years and we’ve brought this experience to deliver the employee job tracking features you can find right now in Time Clock MTS. Having your job time tracking integrated with your time clock system means you’ll save both your’s and your employee’s time each and every day. Plus, you’ll have a much better grasp of your job costs, and save yourself real money. Tracking jobs in Time Clock MTS couldn't be simpler! With so many different jobs going on at the same time and each job passing through several different hands through out its process. Bar coding, each job allows a machine shop employee to easily scan in & out of jobs quickly. All you need to do is define some jobs to track and decide which of your employees will be using job tracking. 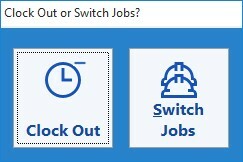 Once you’ve done this Time Clock MTS will ask employees to enter a job code when they punch in, and offer them the chance to switch jobs when they punch out. As the Time Clock MTS administrator you can easily see how time has been allocated to your tracked jobs using the Job Time Report. If you want to know more about tracking jobs within Time Clock MTS please take a look at the Job Tracking entry on our blog. 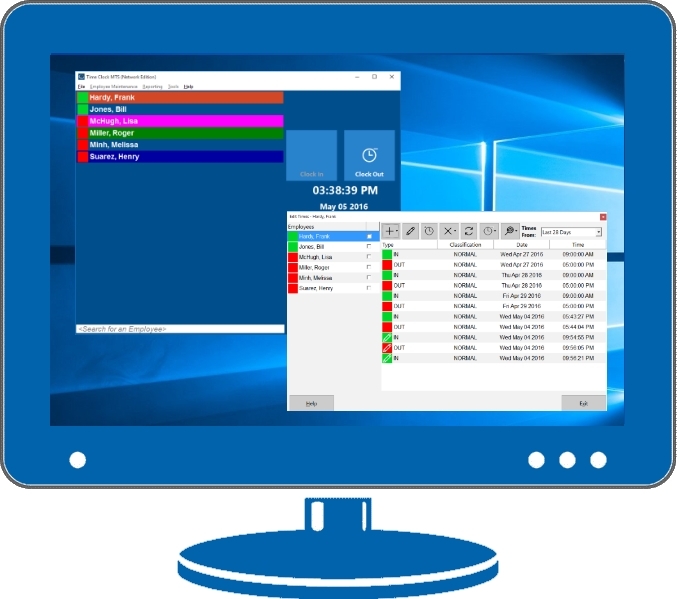 You can trial Time Clock MTS and make use of our job tracking time clock software features completely free for 30 days, just download the trial version of the software and see what you think!